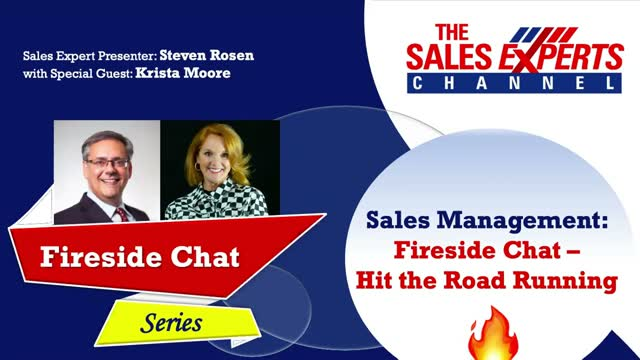 Join sales management expert Steven Rosen and his guest sales leadership expert Krista Moore for an exciting “Fireside Chat.” In this episode, they will share their insights on what sales managers need to do to ensure that they are in the best position to hit the road running and crush their sales numbers. Expect an action-packed webinar filled with sales management gems, pearls, powerful insights, and stories, that will help you crush your sales numbers. Are you doing all the right things to set the year up for success? Steven and Krista share their best practices to ensure that you are on track to have a great year.